Normand Brais P.Eng, M.A.Sc. Ph.D.
Normand Brais holds a mechanical engineering degree, a Master of Applied Sciences, and a PhD in Nuclear Engineering from Engineering Institute after he graduated. He has founded several technological companies in various fields such as atmospheric pollution of stationary combustion equipment, biomass combustion, water treatment, photonics, and air/surface UV disinfection. 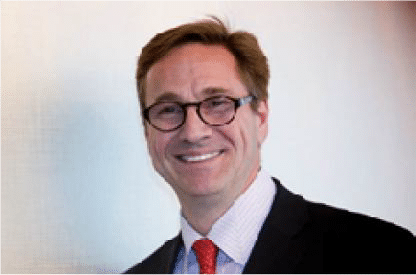 In 1995 he founded Sanuvox Technologies, which is now a worldwide technological leader in UV disinfection of air and surfaces for hospitals, office buildings, laboratories, and greenhouses. Powdery mildew is probably one of the most common and widely distributed disease of plants in greenhouse production. This disease is responsible for significant economic losses in many greenhouse floricultural and vegetable crops. 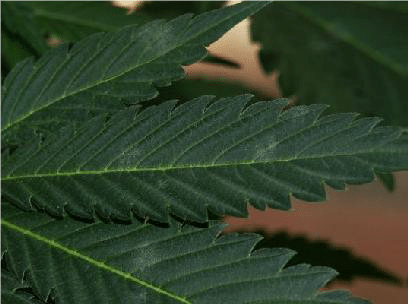 More recently, powdery mildew has been found to be a serious threat to Marijuana production. Although infections usually do not result in plant death, they reduce the yield as well as crop aesthetics and value. In the greenhouse, powdery mildew tends to be more problematic in the spring and fall when day-night temperatures favor high relative humidity but it can develop at any time during any production cycle. An understanding of the disease cycle, organisms involved, and factors that favor disease development will contribute to successful management of this disease. Experience has proven that adequate air filtration combined with UV germicidal disinfection of the air and surfaces within the greenhouse is a powerful new way to eliminate powdery mildew outbreaks. Powdery mildews are easily recognized by the white, powdery growth of the fungus on infected portions of the plant host. The powdery appearance results from the superficial growth of the fungus as threadlike strands over the plant surface and the production of chains of spores. Powdery mildew fungi usually attack young developing shoots, foliage, stems, and cannabis buds from the inside out. Symptoms often first appear on the upper leaf surface but can also develop on lower leaf surfaces. Early symptoms vary and can appear as irregular chlorotic or purple areas or as necrotic lesions, all of which are followed by the typical white, powdery appearance. 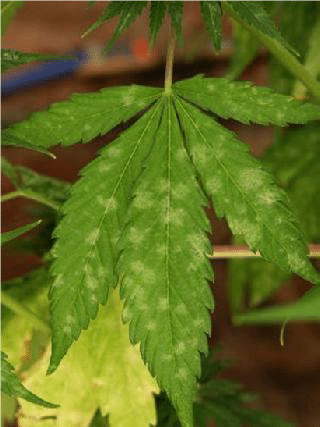 Other symptoms include atypical scab-like lesions, witches’-brooms, twisting and distortion of newly emerging shoots, premature leaf coloration and drop, slowed or stunted growth, and leaf rolling. In rare but extreme situations, heavy infections cause plant death. 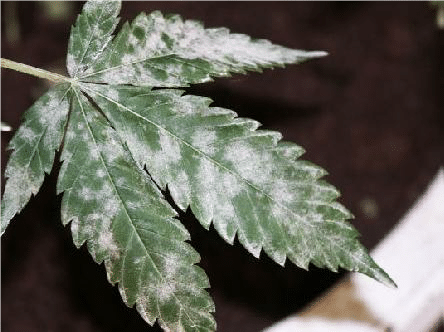 Although diagnosis of powdery mildew is not difficult, symptoms often escape early detection if plants are not periodically monitored since symptoms can first develop on lower or middle leaves. This helps explain reports of sudden “explosions” of disease when the percentage of infected leaves increases from 10% to 70% in one week. Although the symptoms of disease are similar, the fungi responsible for powdery mildew fall into a number of different genera. The genera of primary importance to greenhouse production include Erysiphe, Leveillula, Microsphaera, Sphaerotheca, and Oidium. These fungi are all parasites that require living hosts in order to complete their life cycles so they readily infect healthy, vigorous plants. Some powdery mildew fungi have broad host ranges whereas others are fairly host-specific and may be confined to a particular plant family, genus or species. For cannabis, Botrytis cinerea is the dominant parasite fungi. Botrytis cinereal spores are found almost everywhere in outdoor air and are found as common contaminants in about half of indoor environments in the North America with average concentrations of about 45-49 CFU/m3 (Shelton 2002). Powdery mildew fungi have fairly simple life cycles. Spores (conidia) are produced in chains on stalks (conidiophores). Conidia are “powdery” and are readily disseminated by air currents in the greenhouse. After the conidia land on the plant surface, they germinate, penetrate the leaf tissues, and send food-absorbing projections (haustoria) into the epidermal cells. Threadlike strands of the fungus (hyphae) then grow over the surface of the infected plant part and eventually produce more conidiophores and conidia. The time from when conidia land to the production of new conidia can be as short as 3 days but is more commonly 5-7 days. Powdery mildew conidia are unique since unlike most fungal spores, they do not require free moisture (e.g., guttation, dew, water from overhead irrigation) on plant surfaces in order to infect. In greenhouses, powdery mildews usually survive between crops as hyphae or fungal strands in living crop plants or in weedy hosts. Under certain circumstances, some powdery mildew fungi produce small, black, pepper-like resting structures called cleistothecia. These structures allow the fungus to survive in the absence of a suitable host. However, the role of these resistant structures is probably insignificant in greenhouse situations since continuous cropping provides a constant source of living hosts. Development of powdery mildew in the greenhouse is influenced by many environmental factors including temperature, RH, light level, and air circulation. Unfortunately, greenhouses usually provide optimum levels for all of these conditions. Optimum conditions include moderate temperatures (68-86° F), high humidities (>95% RH), and fairly low light intensities or shade. However, these requirements vary with the specific powdery mildew fungus. There is an inverse relationship between temperature and RH which influences both the production and spread of powdery mildew conidia. As temperatures fall at night, RH increases. High RH stimulates conidia to germinate and also encourages the production of chains of conidia in existing infections. In the morning after sunrise, the temperatures warm and RH levels fall. Although chemical control and standard greenhouse keeping practice continues to be a key component of management of powdery mildew in the greenhouse, other new strategies complement and enhance control efforts. Powdery mildew can be controlled by filtration and sterilized by delivering a sufficiently high germicidal UV dose. If such a system is designed to control Botrytis then it will likely be effective at controlling other fungal contaminants. There are at least two ways to use germicidal ultraviolet light to control mold in greenhouses and these include, UV air disinfection systems, and UV floor and surfaces disinfection systems. In addition, the air quality inside the grow room can be improved using air filtration and positive pressurization. Several studies and papers have been written about germicidal UV sterilization of Botrytis cinerea spores. Among them, Mercier et al (2001) used UVC irradiation dosage in the range of 40-450 mJ/cm2 to slow down the decay caused by Botrytis cinerea on Bell peppers. Spore disinfection rates of 95% and more were achieved. Latorre et al (2012) tested the effectiveness of UVA, UVB, and UVC irradiation on Botrytis cinerea and found UVC to be by far the most effective wavelength. Results indicated zero survival of spores at a UV dose of 110 mJ/cm2. Knowing that the UV susceptibility rate constant of Botrytis cinerea is k=0.0052 m2/J, it is easy to properly engineer a UV lighting system with sufficient intensity to deliver the sterilization dosage within a reasonably short amount of time, typically less than a minute exposure. Botrytis cinerea spores are airborne from the outdoors and brought inside greenhouses via the air currents and by shoes and clothing. This is why it is so important that workers clean and decontaminate themselves prior to entry. Other methods may be used to control Botrytis cinerea, including traditional fungicides, but some of these methods may leave hazardous residues which are not suitable for consumption by seriously ill patients (Cervantes 2006). Organic methods are also under study including the use of competing or parasitical microorganisms (Schumacher 2011, Costa 2013). Cooling and heating coils inner surfaces are a hidden reservoir of spores, a fertile breeding ground and constitute an ecosystem for a wide variety of molds. Continuous UV surface decontamination of all coils should the first system to be installed in greenhouses to reduce mildew outbreaks occurrence. For cannabis indoor culture, Botrytis cinerea is one of the toughest most dominant parasite fungi. Botrytis cinerea spores are found almost everywhere in outdoor air and are found as common contaminants in about half of indoor environments in the North America with average concentrations of about 45-49 CFU/m3. Chemical control and standard greenhouse keeping practice often fail to limit powdery mildew invasions and other proven disinfection technologies such as germicidal ultraviolet are being used more and more. Our experience has shown that a well-engineered combination of air filtration and air coil treatment with germicidal UV can drastically reduce the outbreaks of mildew in greenhouses. Such a system requires high levels of air changes per hour with filtration complemented by germicidal UV, and continuous UV surface decontamination of all cooling and heating coils within the facility. The author is grateful for the contribution of Mr. Robert Renaud, Mr. Raymond Gatt, Mr. Keith Jordan, and Mr. Jean-Louis Bonneau for their valuable field experience feedback and suggestions in writing this paper. Cervantes, G. (2006). Marijuana Horticulture: The Indoor/Outdoor Medical Grower’s Guide. Van Patten Publishing, Costa, L., Rangel, D. E. N., Morandi, M. A. B., and Bettiol, W. (2013). “Effects of UV-B radiation on the antagonistic ability of Clonostachys rosea to Botrytis cinerea on strawberry leaves.” Biological Control 65, 95-100. Heuvelink, E. (2006). “Reducing Botrytis in greenhouse crops: periodic UV-light treatment in tomato plants.” , Wageningen University, Horticultural Production Chains, Wageningen, Netherlands. Kowalski, W. J. (2009). Ultraviolet Germicidal Irradiation Handbook: UVGI for Air and Surface Disinfection. Springer, New York. Latorre, B. A., S. Rojas, G.A. Diaz, H. Chuaqui (2012). “Germicidal effect of UV light on epiphytic fungi isolated from blueberry.” Cien Inv Agr 39(3), 473-480. Marquenie, D., Lammertyn, J., Geeraerd, A., Soontjens, C., VanImpe, J., Nicolai, B., and Michiels, C. (2002). “Inactivation of conidia of Botrytis cinerea and Monilinia fructigena using UV-C and heat treatment.” Int J Food Microbiol 74, 27-35. Mercier, J., Baka, M., Reddy, B., Corcuff, R., and Arul, J. (2001). “Shortwave Ultraviolet Irradiation for Control of Decay Caused by Botrytis cinerea in Bell Pepper: Induced Resistance and Germicidal Effects.” J Amer Soc Hort Sci 126(1), 128-133. Nigro, F., Ippolito, A., Lattanzio, V., DiVenere, D., and Salerno, M. (2000). “Effect of ultraviolet light on postharvest decay of strawberry.” J Plant Path 82(1), 29-37. Schumacher, J., and Tudzynski, P. (2011). “Morphogenesis and Pathogenicity in Fungi.” Current Genetics 22, 225-241.